Fri, 9/7 intro to course. Quiz 1 (Short answer/multiple choice), 5 pts. Fri, 10/ 5 Harry Gensler, “Virtue” (Jordan B.) and Alasdair MacIntyre, “Virtue Ethics“ (Mary G.) Quiz 2 (table of virtues, Aristotle), 10 pts. Quiz 3 (Short answer/multiple choice), 5 pts. Quiz 4 (Short answer/multiple choice), 10 pts. Quiz 5 (Short answer/multiple choice), 10 pts. Frankena argues that judging morality is trying to decide on best courses of action in different situations. We arrive at deciding the best course of action by trying to be rational, informed, and clearheaded. Frankena believes that as long as we are capable of making a rational and informed decision then we are morally justified in said action, and that everyone else who is also impartial and clearheaded would agree with our decision and thus it would be a moral truth. If two rational, informed people disagree on an issue and cannot come to the same conclusion then we must assume that both are desicions are correct because as Frankena states “the conditions are never perfectly fulfilled by both of us and one of us may turn out to be mistaken after all.” This statement is why I had such a difficult time wrapping my head around Frankena’s theory. How do we know when you’re being “free, impartial, willing to universalize”? Can we truly do so? Frankena explains that he believes the moral point of view is to be differentiated from other points of view, by the fact that one is judging from the moral point of view when one is concerned and informed about the implications that their decisions could make on the lives of others. This differs from the point of views of prudence as the prudential thinker is only concerned about what the consequences of his decisions will be to himself. Discuss: What do we think a moral judgment is? Is it an ‘ought’ statement? Moral judgments show that we want all people to live equally? Is that what prescriptivism is? Do we really have impartial desires, do we want everyone to live equally? Ought statements/ moral judgments are imperative. They do not state a fact (not true or false). They are suggesting required action. Prescriptivism: doesn’t matter that moral judgments are not right or wrong. They allow us to ‘think rationally about moral issues’. Discussion: How are moral judgments rational as opposed to emotional? a)	Freedom- to form own moral beliefs. •	Moral language is the key: what do we mean by ‘ought’? Hare: ought judgments are universalizable prescriptions. •	To be logically consistent, we must make similar evaluations about similar cases. These rules lead to a golden rule (GR) consistency condition. To abide by the GR consistency condition one must want an act to be done in all similar cases, including when we imagine ourselves as the other person. Discussion: Do we always what to apply the GR consistency condition? Think of examples of when we do, and examples of when we don’t. •	Know what effect our actions have on others. •	Imagine ourselves on the receiving end of the action. We need to freely accept our own moral principles. We can apply reason to them by being informed, imaginative, and consistent. Nazi moral beliefs are irrational- Nazis beliefs are not consistent, they do not know the facts (not informed), and they do not exercise imagination. •	Desire for a negative to happen to yourself (such as Nazis desiring themselves to put put in concentration camps). Aristotle opens Book I with a statement explaining that all actions made on behalf of humans are aimed at seeking some form of good. He defines good as the “end” or in other words a result of a persons action and explains that there are different kinds of ends, some ends are subordinate and some are the highest ends a person can achieve. Subordinate (or secondary) ends are like building blocks that lead us to higher ends, which rank higher in importance. We choose the higher ends for the sake of themselves and our desire to achieve the highest good. We pursue subordinate ends through our actions in attempt to achieve the highest end. –	An example Aristotle uses in the text is medicine and health. “Health is the end of medicine”. Medicine is used by people to cure illness and restore a person’s health; a person’s goal while using medicine is to produce better health. Health is a higher end in which we pursue through medicine which is a subordinate end. We use medicine to achieve a form of higher good. Question: How can we truly decipher between a subordinate end and the highest end if everyone in the world has a different perception of what is most important to them? In the second section of Book I, Aristotle claims that there is a highest good in which all humans wish for and desire for the sake of itself. He explains that the highest good stimulates and determines all human actions and decisions to achieve the most desired possible end. Aristotle questions our human knowledge of the highest good. If we possessed knowledge of the highest good, it would give us a goal in life to pursue and provide a purpose for our actions and decisions. Knowledge of the highest good creates a goal for not only a single person, but for a society as a whole. Aristotle furthers his examination of the highest could and explains that knowledge of the highest good would enable our politics and government to ensure people and communities are provided with an environment where they are able to live contently and purposefully through the means of subordinate ends necessary to obtain higher ends. Knowledge of the highest good is knowledge of the most desired and fulfilling end for a human and a community as a whole. –	For example, our political system puts hospitals and drug stores in place so that people are able to purchase medicine that they need to better their health. In order to provide the subordinate ends necessary for individuals (to achieve the higher ends which are motivated by knowledge of the highest good), our politics and government must have knowledge of the highest good that is universally desired. In the fourth section of Book I, Aristotle explains that every action and decision we make as humans pursues a form of good. The good that we all seek is the highest good achievable – Aristotle determines the highest good achievable as happiness. He explains that “living well and doing well are the same thing as being happy.” Defining happiness concretely is a problem Aristotle faces as many disagree on the definition of happiness. Aristotle uses examples to show how the meaning of happiness fluctuates for people depending on the scenarios in which they find themselves. –	An example from the text, a man is ill so he naturally believes happiness is health and when he finds himself to be poor he naturally thinks happiness is wealth. A man’s perception of happiness changes when he finds himself in an unfavorable situation as he has knowledge of what a more ideal situation would be. Aristotle explains that analyzing the different beliefs people have about happiness does not progress the defining of happiness. He argues that we must start with our own experiences and what we know in the world in order to decipher a true meaning of what happiness is. Aristotle uses what he knows at the time to conduct his examination of happiness and claims we must use knowledge that is self-evident. Also, it is important to Aristotle that those who attempt to defining happiness must have a good moral education and strong sense of ethics. It is crucial to understand what is right and wrong. Aristotle says that there are two sorts of virtue, virtue of thought and virtue of character. He states, “ It is also clear that none of the virtues of character arise in us naturally”. The difference between them is that virtue of thought is considered to be taught to us whereas virtue of character is habituated threw repeated practice (i.e. A guitarist can play guitar because he/she practices a lot). Aristotle says that to sum it up in a single account: a state [if character] results from [the repetition of] similar activities. He then goes on to talk about the importance of pleasure and pain expressing that virtue of character is about pleasures and pains. With the right upbringing from a young age, we should be able to take pleasure from what is “good” and be in pain by what is “bad”. Pleasure grows with us as we grow which is why it s hard to erase the feeling that is embedded into our lives, which is why pleasure and pain is so important to virtue, this is because it is easier to fight your spirit than to fight pleasure as it has been a part of you for so long. In another chapter of the book he talks about virtuous actions versus virtuous character saying that there are three criteria that one must have in order to be virtuous. This criteria consists of “a) He must know [that he is doing virtuous actions] b) He must decide on them, and decide on them for themselves; and c) he must do them from a firm and unchanging state” Aristotle says that “the many, however, do not do these actions”, and then compares them to sick people “ They are like a sick person who listens attentively to the doctor, but acts on none of his instructions”. In examining what virtue is, we must understand that there are three conditions arising in the soul- feelings, capacities, and states- virtue must be one of these. Virtue can only be a state; it cannot be a feeling because for example we can be angry or afraid without decision; but the virtues need a decision. It cannot be a capacity either because we have capacities by nature, “we do not become good or bad by nature” therefore all that remains is a state. In the chapter entitled [Relations between Mean and Extreme States], it talks about the three conditions. “Two are vices-one of excess, one of deficiency-and one, the mean, is virtue”. At either extreme of vice, that person thinks that the virtuous man is at an extreme. A rash man, for example, thinks a brave man is a coward and a coward thinks a brave man is rash. When talking about the two extremes, one of them is more directly opposed to the virtue, while the other is simply a lack of or excess. For example, cowardice is more opposed to bravery, while rashness is an excess of bravery. As difficult as it is to be virtuous, when one aims for the mean they have to avoid the more contrary extreme, in the advice Calypso gives: ‘Hold the ship outside the spray and surge’. For one extreme is more in error, the other less. The last paragraph sums up most of this in saying “ we must sometimes incline toward the excess, sometimes toward the deficiency; for that is the easiest way to hit the intermediate and good condition. Hi! My name is Melanie Greening and I’m involved with a conference called PowerShift.PowerShift is a conference bringing 1500 young people together to discuss climate change from a justice perspective, and learn community organizing skills necessary to make real change across the country. Similar to the Quebec student movement and successful social movements of the past, PowerShift is trying to bring people together to share knowledge, build networks, and collectively campaign for a country that takes real action on climate change. Currently, the federal government subsidizes fossil fuel companies by $1.4 Billion per year. These subsidies are making it profitable for companies to cause climate change. One of PowerShift’s goals is to end these subsidies, and this requires the support of people across the country. S1 Aristotle starts with the assertion that virtue is about feelings and actions, and that if they are voluntary, the agent of the action or expression of feeling may be praised of blamed for it, held accountable for their actions. If they are said to be involuntary then they be pardoned or pitied. He mentions briefly that the defining of the two terms is also useful in deliberations regarding the rule set laid out by a society. S3 He deliberates amongst the different methods one may be forced to do an action with as well as defining the concept of forced. He sums up Force as a situation with an outside element (wind, barbarians) with the agent ‘contribute nothing’. He points out that one may call action caused by a threat to the lives of loved ones or any similarly severe threat voluntary as it is still the agent’s will that causes the movement of the limbs and other various processes one needs to do such a thing. Another example he uses is the throwing of cargo overboard in the choice between that and loss of life. Both he says are closer to voluntary action than involuntary, though without the threat, presumably they would not choose the same course of action. S7 He goes on, extending to situations regarding the public opinion of people’s actions, without which there would be no ethical courses of action. He expresses the difficulty of deciding what price is socially acceptable to receive for whatever amount of pain or shame. And people don’t like either of those things so it’s harder to do things that net gain because there is a needed loss, and thus those who are able to endure often receive praise for their actions. Unless they paid a stupid price for a small measure of reward, in which case they gain social blame or ridicule. S10 He then reiterates the point of force being of an outside force, with no contribution from the agent, and again about determining the value of what may be said to be good. He specifies that it is not just an outside influence that may be said to force our hand, for if we apply this to things that are outside us and pleasant, then everything we may encounter save for those which evoke any particular desire or feeling, may be said to force us. And it is absurd to take credit for the things we do as praise worthy but place the blame on pleasant things when our actions are shameful. S13 An action with which one is ignorant is nonvoluntary, an action which causes pain and shame may be said to be involuntary. There is the same distinction with amoral and immoral. This ignorance with painful consequence he calls involuntary as none would wish the act knowing the consequence, wishing he describes later. To an action of or with ignorance that brings pleasure he calls non voluntary as one would have but could not have wished it. S14 Distinction between action caused by ignorance and caused in ignorance. Things done drunk or angry are done in ignorance as the drunk or the anger is the cause, having rendered one ignorant of one’s regular reasoning. S19 involuntary action: ignorance of the result of ones action or the particulars of the action, an “oops!” or more vehement if a stronger situation, always with the result of some pain or shame. S23 Some actions of appetite and spirit are voluntary, requiring a process of decision and deliberation prior to the action or decision, as indeed the proper human considers the manner in which their appetites or emotional desires are met. We are still subject to their pull, but we learn over time and social shaming or encouragement to not be slave to them, satisfying our every whim, as a non-rational animal or child. This decision part of virtuous action Aristotle describes is apparently voluntary but narrower in scope. S4 Again, appetite is contrary to decision , but not to appetite? S7 Subsequently, there is a list of the reasons why decision is not the things it is related to, wish and belief for instance. Belief for example is more divided into true and false and can cover eternal things while decision is generally good/bad with considerations regarding things we’ve actually the scope to influence. As well, the best decisions do not necessarily correspond with the best beliefs. S16Decision is voluntary,but not all voluntary things are decided. What is decided involves reason and thought or deliberation. Opens with discussion of what is proper to deliberate on. Things which we cannot influence are not deliberated on. His example of government systems is possibly less relevant today. We do not deliberate on things we are sure of; we generally consider it a waste of time. It is the things we are uncertain about upon which we deliberate. We ask more than ourselves when we feel unequal to the task of deciding what is right. Aristotle says we deliberate the means to ends, not the ends themselves, deciding among the usually multitudinous options, picking the best one for reasons such as ease, greatest achieved good, least harm and so on. Wishing then is for the end. He expresses two views of wishing, one for the apparent good and one for the good. Wishing is not just for the good, bad things are wished as well. The apparent good is subjective in the decision of what is good in the person who wishes, nature then does not wish. Some things that are good are generally considered good, health for example. Many assume what is pleasurable is good, but this is not always the case. Acting and not acting are generally up to us. We develop preferences and mannerisms in accordance with the way we have been raised and the kinds of situations we find/put ourselves in. S13 Interesting implication that one who got sick caused it entirely through their own actions. Being unjust begets unjust training, allows you to more easily be unjust, to be unjust better. We are censured by society for the vices we will and practice. Virtue and vice are up to us. Action and states are voluntary but in a different manner. Our actions we control from beginning to end, when the parameters of the action and what is required are known. States are known from the beginning but cannot be predicted from that point, we do not know what the outcome of so many factors may be. Sometimes were responsible for our actions, sometimes not. Mostly, yes. Aristotle starts by summarizing that for each state of character, we must aim for the intermediate, thereby avoiding excess and deficiency. He refers to it as a target that we aim for by use of reason, and goes on to state that other reasonable ideas must be pursued at a rate which is also a mean. After explaining that there is a nonrational and a reasonable part of the soul, he further subdivides the reasonable part into two parts. One part studies beings whose principles do not admit of being otherwise than they are, and the other studies beings whose principles admit of being otherwise. One of these parts is the scientific part, and one is the rationally calculating part. To deliberate is to consider what could be otherwise; therefore the rationally calculating part (or the deliberating part) is one of the reasonable parts of the soul. Hence we should find the best state of the scientific part and the best state of the deliberating part, as this state is the virtue of each of them. There are three capacities of the soul, sense perception, understanding, and desire that are used to control action and truth. As assertion and denial are to thought, pursuit and avoidance are to desire. When a decision is virtues, or excellent, reason asserts what desire pursues. This is thought and truth concerned with action. Goal directed reason and desire are the principles of decision, and decision is the principle of action or source of motion. Thought by itself moves nothing, what moves us is goal-directed thought concerned with action. But acting well is the goal, and each decision is either understanding combined with desire or desire combined with thought. No one decides to do what has already passed. We should not deliberate about the past, but only about the details of what happened. The function of each of the understanding parts is truth. Five states which the soul reaches for truth via affirmation or denials. Scientific knowledge never admits of being otherwise. It is always true and known by necessity. All Scientific knowledge is teachable through induction and deduction (proceeding towards or from the universal “base truth”) one has scientific knowledge whenever one has the appropriate sort of confidence and knows the principles. The states involving reason but concerned with action versus production are different. In other words, action is not production. A craft is not concerned with the coming to be of objects that are necessity, since these have principle in themselves. Craft must be more so concerned with production, not action. Agathon says; ‘Craft was fond of fortune and fortune of craft’. A state of craft than, involves true reason concerned with production. It is proper to be a prudent person if one deliberates finely about benefiting himself, for example the promotion of strength and good health. In a deliberative manner they promote some excellent end in an area where there is no craft. Prudence is a state grasping at truth, with an end of acting well itself. Temperance is related to Prudence because it is corrupted and perverted by the pleasant or painful. Scientific knowledge is supposition about universals and involves reason. There can be no craft knowledge, prudence or scientific knowledge about what is scientifically known since these facts are demonstrable and principles are not. Some people are wise in general, while others are wise in a particular area or craft. Wisdom is the most exact form of scientific knowledge. The wise person knows what is derived from the principles of science and also grasps the truth about the principles. Wisdom is different from prudence because one can be ignorant of what benefits himself, but wise about many ideas. Prudence is about human concerns, and open to deliberation. Since prudence is concerned with action, it must possess both the universal and the particular knowledge. One type of prudence is legislative science. Another type of prudence is concerned with the individuals himself. One who politically advocates, and advocates for himself is prudent in two places because of a difference of opinions. Prudence is concerned with particulars and universals, particulars become known through experience. Therefore, a young prudent person is rare. Prudence concerns the last thing, or the result rather than the base scientific knowledge. Deliberation is different from, in that, it is a type of inquiry.it is not good guessing, since good guessing involves no reasoning. It is not any sort of belief. Good deliberation is clearly some sort of correctness, but not correctness in scientific knowledge or in belief. It requires reason, and is not a belief, therefore it belongs to thought. Some people may deliberate for a long time, while some may deliberate for a short period, while another may take a long time to discover the correct end. Prudence is related to cleverness and is therefore similar to virtue. Full virtue cannot be acquired without prudence. Some say that all instances of virtue are prudence. And the inquiries Socrates used to undertake were in one way correct and in another way in error. For insofar as he thought all the virtues are instances of prudence, he was in error; however, insofar as he thought all virtues require prudence he was right. So, one might argue that prudence is used to find the mean state, or the Excellency of a given virtue in a particular situation. Prudence is the correct reason in this area. One cannot be fully good without prudence, or prudent without virtue of character. -Macintyre considers the modern self to be emotivist. iii. moral statements try to influence other people’s morality (i.e. emotional response to human action). -When the modern self is contrasted to earlier selves, MacIntyre argues that the modern self is clearly disadvantaged. -The modern self has lost its social identity, since historically the individual defines his/her identity and duty according to his/her place in his/her social group. -MacIntyre argues that “[t]o know oneself as such a social person is to find oneself placed at a certain point on a journey with set goals.” This implies that the person exists in social group on a trajectory. -Virtue must be considered secondly, after social and moral life. -E.g. in Aristotle’s ethics, virtue is second to the good life. -MacIntyre argues there are three stages to be considered: practice, narrative, and moral tradition. -Basically, it is anything complicated that people can do well. -E.g. Architecture is a practice. Bricklaying is not a practice. Chess is a practice. Tic tac toe is not. -Internal goods are goods inherent to a practice. Analytical skill is an internal good of chess. -External goods are goods that are can be found by alternative means, such as money. Money can result from excelling at chess, but it can also result from meeting a standard of excellence at a McJob. -There is a fixed quantity of external good, which is always in someone’s possession; the more one person has, the less another. -Therefore, MacIntyre argues, external goods are subject to competition between individuals. Internal goods, however, are goods enjoyed by the entire community. -A practice has a standard of excellence and to engage in a practice implies that one accepts this standard (i.e. by playing chess, one agrees that there a good way to play chess). -Standards can be criticized and changed. The definition of a standard is not absolute, but its existence is. -Basically, it is a trait that functions in a practice as a means to a good end. ii. telos, which is an Aristotelean term for a goal or aim that defines a person’s (or thing’s) actions in their time (its life’s journey, one might say). -MacIntyre purports that story-telling is a very important human action. Stories educate people on virtues and also on their relationships within their social group. ii. they present the self as a player in an ensemble, which means that one is not the only person accountable for one’s actions. Since the individual is a member of a group, s/he can ask other members for description of his/her actions. -An individual life is unified by its story and similarly, the collective life of humanity is unified by its narrative. -The good is found in continuing the narrative towards its telos, the good. -“It is in the course of the quest [for a conception of the good] that the goal is finally to be understood.” That is to say, the final good is known by searching for it. – The search for the final good arranges all the other goods, i.e. the virtues. ii. MacIntyre’s use of the idea of telos. Throughout the text, he considers all actions concerned with virtue in a paradigm of means and ends. -MacIntyre begins by purporting the importance of three stages (although he never really addresses the third, moral tradition, in this selection) but does not seem to explain what the three stages are of. -MacIntyre argues that the two important aspects of narratives (unpredictability and telos) coexist, but they seem contradictory; how can a story be unpredictable if it has a definite ending? Or, maybe, to what extent is a story unpredictable if it has a definite ending? -MacIntyre also states that unpredictability is “required by the narrative structure”, but never explains why this is so. -Arguing that “looking for a conception of the good…will extend our understanding of the purpose and content of the virtues” sounds (to me) a lot like MacIntyre is saying, well, you’ll figure it out as you go. Hume first explains that not every man can be correct in their thinking, and not everyman will draw the attention of every other man. The difference is education and habit. This man must know right and wrong as agreeable by all others. If you find a man that cannot agree then you must first present your arguments, if that doesn’t work you leave him alone, and through self-torture he will come to his senses and see morals the way every other man sees them with common sense and reason. Hume then trys to sort out weather morals come from sentiment or reason – is it in the foundation of human nature or is it only for rational humans, or is it attained knowledge etc. Hume compares virtue to morals. Basing this on previous philosophers: virtue is the conformity to reason and morals are derived from taste and sentiment. Then Hume contrasts a more modern view where there is beauty in virtue and deformity in vice. Hume says these subjects are confusing. Therefore morals can only be solved by pure reason. NOTE: This is confusing for me – pure reason – is it seeing both sides, Or did hume summarize it as “truth is disputable; not taste: what exists in the nature of things is the standard of our judgement; what each man feels within himself is the standard of sentiment.” – I didn’t understand this quote, but I think it is important. Possible answer to pure reason – For each man verse, passion and wit are personal pleasures, and no man can reason this for another man (he cannot judge the way be would judge physics) but he can judge with respect to justice/injustice. Ie once someone is guilty of something, we must then judge the context to see if the action was justified. From the above example Hume concludes that only sentiment would resolve all morals – not reason alone. Which produces hatred or love OR is the human mind adapted to choose hatred or love naturally? The answer – habit tells us which to choose. The argument of sentiment without reason, and reason without sentiment points out that, humans need both. Hume states that sentiment AND reason are important in all moral decisions and this is what makes “virtue our happiness and vice our misery” and this is based on an internal sense felt by the entire human species. And that everything can be seen as beauty and if not an incorrect viewpoint can be corrected by argument and reflection. To bring it all together “moral beauty” requires a sophisticated and intelligent species. Hume then discusses the possible flaws, personal merit or attributes of the mind or the complication of mental qualities. Meaning that every habit, sentiment, or faculty can lead to praise or blame by outsiders. And that man is able to come up with the proper answers by searching inward. Without reason humans would simply use language to form surface judgements. So in order to properly reason one must be able to use sentiment as well (ie use both sides). Once a person can see both sides they will find universal principles and the foundation of ethics. This is where all thought should be derived from. This is considered Fact. Fact is different from abstract science, where there are many ways to reach one or many conclusions, whereas with fact we expect success and will reach it. My Opinion – Hume says that sensibility is common among all men – not true. He also says that anyone left alone for long enough will form the right conclusions; this is not true since right choices need to be habituated, and require argument so they will be properly correct – this means that all men possess qualities deep inside in order to reach the right conclusions, not possible? •	It seems so natural to praise social virtues for their utility that you would think it would appear in all writings about morality. In common life, we always appeal to something’s utility (or usefulness) and when someone dies, we often eulogize them with how useful they were to their community. We also apologize if we do not do enough useful things or if we do not do useful things at all so long as an argument can provided for such thing being useful either to society or to your own private life. •	The difficulty in determining the utility of any man’s action is perhaps the reason other philosophers always fail to include it in their own writings on morality. But just because you cannot explain the origin of something is no reason to discount origin in itself as a principle in your own theories. •	Because social virtues appear to have some use to society, other philosophers have inferred that morality has arisen from education. First the idea is invented then encouraged by politicians in order to rein in humanity’s more ferocious nature which could render them harmful to society or completely useless. Hume does not discount the influence of education, politicians and social control but does not think they can account for all moral standards. •	Social virtues must have a natural basis that appeals to uninstructed man. That is to say that virtue must have something about it that appeals to a man who has not been educated by politicians in the way described earlier, but I do not understand how he reached that conclusion because the second half of the previous paragraph is gibberish. The chief circumstance of these morals is their utility, therefore whatever end we reach must be in some way agreeable to us and takes hold of some part of our human nature. This is basically where I stop being able to follow what Hume’s further arguments and points are. However, I did grasp enough from the above to form some sort of a response and I would say that Hume’s fundamental principle that the usefulness of an action is what leads us to determine whether or not that action is moral does seem to be entirely accurate to me. It would seem to me that the usefulness of an action is merely what determines whether or not we will perform the action, not whether the action is moral or immoral. Take, for example, the death penalty which is a subject of great debate across the world. Under Hume’s theory, the places that allow the death penalty allow it because they feel it is justified in certain cases for someone to have their life ended. The circumstances under which a person’s life is ended by the state are circumstances that are harmful to society (most often murder), therefore if you remove the person, you remove that circumstance and slowly but surely, the harmful action will be reduced as other people come to fear the death penalty. Removing that action is beneficial to society, therefore it is morally acceptable to do so. However, the people in the prisoner system are no longer viewed as part of society once they are placed inside the confines of a prison, so how is ending their life any more beneficial than what has already been done to them? Prisoners are not viewed as part of society so how can ending their life possibly benefit it? This to me suggests that there is some other factor at work that allows us to determine whether actions are moral. Hume discounts reason as a motivating factor of determining morality but to do that I feel completely disregards the true power of human thought and reduces us back too far down to the level of other lower animals. The use of reason in determining morality seems to me to be obvious and for an empiricist like David Hume it’s surprising to see him discount reason in this manner because it’s almost like he’s never experienced dissenting opinions before. Do people go to war just on pure nature? I believe war is the nature of man but our reason is what allows us to either fight or be peaceful. Hume cannot account for one aspect of human nature contributing to our behaviour, but not account for another. If he doesn’t believe reason is part of human nature then that’s a whole different argument altogether. In conclusion, I really appreciate Hume’s focus on the utility of an action because I fundamentally believe that desire and benefits are the primary motivators for action but that there is something else that determines morality. I’m not sure what it is but reason seems to be the most likely factor. The question would then shift to what the content of our reasoning would be when determining morality. It could be utility and David Hume could very well be right but I think the discussion would be too long to go over in just this essay. Question: What does he mean by objective values? Subjective values? Objective values are those that are based outside of you, not influenced by personal feelings or opinions in considering and representing facts, whereas subjective values are those that depend on you, your situation, culture, and preferences. Therefore subjective values are subject to change and malleable with time; subjective morals change, can become contradictory, and can differ from person to person. An example of objective values would be the teachings of the Bible which offer an objective set of morals: do not like, cheat, steal, commit adultery, etc. All of which are based off God’s will. An example of subjective values would be atheism where you remove God you remove the standard by which objective moral truth is established. Thus atheist values depend on the specific person and their situation, culture, and preferences. Mackie states his thesis will cause one of three reactions: 1) thesis is false, pernicious, and a threat to morality (ex: atheists have no moral code because they have no objective values, etc. ); 2) thesis is a trivial truth; 3) thesis is meaningless and empty because values are no real issue. Mackie explains his views is one of moral skepticism (or “subjectivism”) which is the doctrine that “This action is right” means “I approve of this action” – moral judgements are equivalent to reports of the speaker’s own feelings or desires. Moral skepticism explains was there isn’t, not what there is – says what morals are not, not what they are. Is objectivity a real issue? He believes “the difficulty of seeing how values could be objective is a strong reason for thinking that they are not so, but is not a good reason for saying that this is not a real issue” (109). According to Mackie, the explanation of the origins to objective values would change our epistemology, our philosophical psychology, and would affect moral arguments. – Example: Egoism could be refuted from a normative ethical system (“oughtness” and moral prescriptions) to a meta-ethical system which seeks to understand the nature of ethical properties. – Hypothetical imperative: “If you want X, then you ought to do Y” – supposedly Y is the only means to X; the oughtness is contingent to the desire. – Categorical imperative: “You ought to do Y” which means the oughtness is not contingent to the desire. By denying objective values, Mackie also denies categorical imperatives. Because, according to him, objective values do not rely on desires or inclinations of the agent (which is the premise of categorical imperatives). This is in opposition with Kant who believes moral judgements are categorical imperatives. Mackie’s argument from relativity begins by pointing out obvious historical variations in the content of moral beliefs across groups, classes, and societies. The presence of disagreement does not disprove the existence of objective value but the disagreement does in a way support meta-ethical subjectivism. Relativity is a subjective assessment; moral relativism is effectively the same as moral subjectivity. – Metaphysical claim: Objective values would be radically different from anything in our experience; “If there were objective values, then they would be entities or qualities or relations of a very strange sort, utterly different from anything else in the universe ” (112). -Epistemological claim: there would be no way to know these queer things without a special, non-empirical means of knowing them (intuition) – intuition meaning some specific and unique instinct with which humans come to realize objective moral values. Thus, according to Mackie, intuitionism is the logical reduction of all theories of objective values because at some point in objectivist theories, some essential concept will only be known via intuition. Mackie states “a ‘special intuition’ is a lame answer, but one to which the clearheaded objectivist is compelled to resort” (112). Logical positivism proposed that only two types of statements make genuine truth claims (claims that are true or false). Ayer says that there are four classes under the system of ethics. 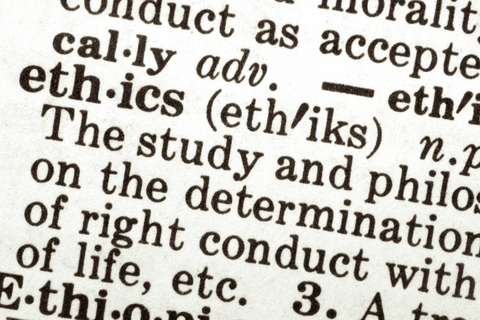 Which are Definitions of ethical terms, or moral judgements. Descriptions of moral experiences and its causes. Exhortations to moral virtue. And actual ethical judgement. He says those of the second class belong to science, those of the third class are just commands and those of the fourth are merely to concrete for ethical philosophy. Ayer then goes on to say that “we are not now concerned to discover which term is to be taken as a fundamental; whether, for example, “good” can be defined in terms of “right” or “right” in terms of “good,” or both in terms of “value”. What we are interested in is the possibility of reducing the whole sphere of ethical terms to non-ethical terms.” Here ayer is arguing that moral judgement cannot be translated into non-ethical, empirical terms and therefore it cannot be verified under the terms of “good” or “right” or both. He rejects the idea of a subjectivist’s view that to call an action right, or a thing good, is to say that it is generally approved of, because it is not self-contradictory to assert that some actions which are generally approved of are not right, or that some things which are generally approved of are not good. Meaning that this view revolves around the idea that the mental activity of a human is the unquestionable thing or act of our existence, and Ayer does not agree with this view. He also rejects the alternative subjectivists view. Which is someone who thinks because they do something makes it right or good. Ayer agrees with ethical intuitionists, but he differs in opinion from them by discarding appeals to intuition as “worthless” for determining moral truths. He disagrees with this because the intuition of one person often can contradict that of another. Ayers believes that the ethical concepts are “mere pseudeo-concepts” and therefore unanalyzable. For example “you were wrong stealing that money” vs. “you stole that money?”. Ayer thinks that ethical sentences are expressions, not assertions of approval. “The presence of an ethical symbol in a proposition adds nothing to its factual content. Thus if i say to someone. “You acted wrongly in stealing that money,” I am not stating anything more than if I had simply said, “You stole that money.” In adding that this action is wrong, I am not making any further statement. I am simply evincing my moral disapproval. It is as if i had said, “You stole that money,” in a tone of horror, or written it in special exclamation marks. The tone or exclamation marks add nothing to the literal meaning. They merely show that the expression of it is attended by certain feelings in the speaker. After comparing and arguing that his theory of ethics is non-cognitive and non biased, he then comes to the conclusion that his position and subjectivism are alike confronted by Moores. G.E. Moores argued that ethical disputes are clearly genuine, they are not just expressions of feelings. Ayers argues that all ethical disputes are about facts. These facts have to do with the value system to a specific case. Not necessarily about the value systems themselves because any argument about values can only be resolved by judging that one value is better than another. Which results in a whole new set of judgments which argues a shared value system itself. How is there any rational debate on moral judgements possible? Mark says: “Homosexuality is wrong!” and the Gay Activist says: “Homosexuality is morally acceptable!” According to Ayer this should be translated in “Homosexuality! Ew!” or “Homosexuality! Come on! !” or as prescriptive expressions like “Don’t be homosexual.” or “Homosexuality: go for it.” As expressions of emotions there is no truth claim here. The speakers are simply expressing different attitudes towards the situation, or pushing different actions. Does that mean that we are stuck in opposing opinions? It is my feelings against yours and as we saw already, logic and reason doesn’t apply to feelings. So, no I do not agree with the two kinds of genuine truth claims, for this argument can be manipulated in so many ways. If in so there were only two genuine true claims the argument would come to not make sense. For example, suppose you say : “Homosexuality is wrong even if the Gay Activist expresses approval for it or urges it.” that would mean “Homosexuality! Ew!! /Don’t do it! – even if the Gay Activist expresses approval for it or urges it.” But this makes little sense, because there is a clear difference of opinion and such an argument wouldn’t be acceptable at all by the Gay Activist. Emotivist assumes that if a moral judgment expresses my feeling, it can’t also be supported by reason. Either my moral judgment expresses my attitudes or it is the outcome of a reasoning process. And in that sense have moral judgements also a factual content together with an emotional content. So I think that semantical interpretation of moral judgements is more acceptable than the emotivist point of view. Emotivist point of view does not make much sense in most situations. Kant begins this section by arguing that duty coming from reason cannot be a result of experiences. He maintains that our duty to act is not seeable through a particular example and therefore doubts may exist as to whether our actions are the result of duty or other selfish reasons/sentiments. Other philosophers then argue that since someone reasons for action cannot be quantified/determined objectively, then they state the reason behind actions is out of self-interest (ie Hume). Kant then argues how no matter how we may seem to act from a sense of duty deep within, it is impossible to truly discern whether at the root of our inner selves, it was not some selfish desire or passion disguised as duty that caused us to act. Morals depend on inner principles, not the actions themselves. Following one’s duty often requires one to deny own self-interests. One who is not strictly adherent to duty may become doubtful of true virtue in the world (why I do not understand). Kant (I think) then states that increasing age leads to increased observation and experiences making one not follow the ideas of duty. Kant then goes on to describe just how, despite these ideas of the human experience, this is not necessarily how things should or ought to be. He gives the example of friendship and how the concept of a true sincere friend may exist outside of our experience but may just have not yet happened in the world, and just because this hasn’t happened yet, doesn’t mean that a sincere friend ought to not exist. Kant’s next argument is that these “oughts” must be universal and applicable to all rational beings with no exceptions for circumstances or otherwise. He uses a priori (before experience) to describe the concept of these duties, stating that they are derived from pure, practical reason. Examples of moral situations can be compared against a universal duty of morality to determine whether the situation was moral/not, however, no experience/situation of morality can wholly exemplify morality. Basically, no example(human experience) can perfectly describe the duty (outside the realm of experience). Even the example of Jesus being good is just an example and not the archetype of good, whereas God is good (and unseeable, just like duty). He then connects the idea of free will to reason and argues that examples will just lead us astray from true morality and that true morality lies in the original duty, in using free will to rationally use reason to guide our actions. There is nothing that rests on pure reason on its own (pure abstract principles have no use on their own), so why must we develop them? Kant argues that these must be laid out if we are to then apply them to the physical world which we live in, because otherwise there would be no sense in applying half-made duties and laws to situations (I think that’s what he gets at anyways). He states that many try to describe what ethics should be by looking at human behaviour, but this is NOT what we should be doing because our knowledge of human nature is about our experiences (and as we know, Kant doesn’t care about experiences, because experiences are about what is, not what OUGHT to be). To get at what ought to be, we must undertake a separate inquiry to determine the pure philosophy or metaphysics of morals, separate from human experiences or any other anthropology, theology, etc. Kant then states affects the human heart more than inclinations (Humes’ sentiments). But when both reason and sentiments guide decisions, the good may be achieved by chance only. Moral concepts cannot be derived from empirical knowledge, but only from reason itself and cognition. These laws need to be laid out pure and untainted of empirical additions if they are to be of any use in deriving a metaphysics of morals which must apply to all rational beings. Kant then states outrightedly that anthropology (referring to the philosophy of Hume, Emotivists, etc.) isn’t philosophy at all. These moral truths must be realized, not “engraved” on the minds of people. We must follow reason to determine the universal duties which we are to follow to be moral beings. Kant then begins to describe how a good will is needed to use reason. He states that everything in nature works by laws and that rational beings follow their own laws (therefore, they have a will). Since making these laws requires only reason, then it must be so that will IS practical reason. He summarizes that the will is a faculty for choosing what reason recognizes as being practically necessary. This occurs outside of inclinations or sentiments. The next paragraph I do not completely understand, but what I believe Kant is getting at is that it is possible that your will may be influenced by external desires or inclinations and that reason may not be followed, and the action is not moral.. Imperatives are ought statements. They state what would be good to do or not to do in as a steadfast rule. However, those who act with not the “good” action in mind, but the end or the objective of the action, are not moral. They must act on the means itself. In this sense, Kant is saying we must act on categorical imperatives, not hypothetical imperatives. So Kant explores how a person is to know if an action is good in and of itself without looking at the ends and maintains that there are practical reasonings that can be taught to children, children learn many random principles not knowing which they may need more in life to achieve their various ends. Kant then argues that there is one great end to which all rational beings strive, happiness. What I think Kant then tries to argue is that Happiness is the only end to which rational beings should be allowed to pursue and the means or the imperative for which this end may be achieved is through prudence. Kant says (I think, this may be off) that happiness is the only hypothetical imperative that is worth pursuing or acting on because it is a priori and central the essence of man. Categorical imperatives ARE morality, states Kant. There are 3 things that can have a “pull” on the will: The Law, Your prudence (having to do with hypothetical imperatives) and your morality (your categorical imperatives). Laws must be obeyed because they are universally valid and objective. Prudence can only be followed conditionally (dependant on ends that belong to your happiness). And Morality must always be followed, impaired by no conditions. The imperative of skill (law) is easy to follow and is “analytic”. You need only to follow the rule because you know the result of said actions (I think). The idea of happiness is not easily defined and as such it is hard to develop an analytic set of steadfast rules. The concept of happiness is empirical and therefore must be derived from experiences Ie. One cannot say for certain what will make them happy and therefore the actions that would bring about happiness (hypothetical imperatives for happiness) are impossible to determine with certainty. Therefore all prudence commands are not really commands at all because they are uncertain to bring about happiness (the ultimate goal of prudence) and must be taken as, well, advice, provided they do not get in the way or other imperatives of skill or morality. A good will is a natural concept that doesn’t exactly need to be taught but just explained better. A good will estimates the total worth of your actions. Basically, Kant is saying that a good will is what makes a person “good”. So now Kant discusses how a good will is tied to duty. Kant then begins to describe a series of cases where our inclinations are pitted against our sense of duty or are coinciding with our sense of duty. Case 1 depicts an example where duty is directly opposing our direct inclinations and we choose to side with our inclinations. This is the simply immoral case of lying, stealing, cheating, etc. Case 2 describes when our duty aligns with our inclinations and desires, but we make the decision based on our inclinations and not our duty. Case 3 describes when our duty and inclinations again align but we act based on duty not inclination. Case 4 describes how our desires directly conflict with our duties but we will our duties in spite of that. He makes the distinction between the moral worth of Case 4 over Case 3, stating that if duty is not in agreement with inclination and one chooses duty, this has more moral worth than if they are in agreement and one chooses duty. He then describes an extreme moral excellence of a character who does not feel sympathy (ie. Born with something ridiculous like sociopathic tendancies) but chooses to act with sympathy according to duty for the sake of duty, because they have absolutely no inclination to act sympathetically. Happiness is an indirect duty because if one is unhappy, temptation would be increased to go against one’s duties. So happiness should therefore be pursued, but not in its immediate form, but for long-term worth to have moral worth. By doing this, you are not pursuing your inclinations, but having a duty to attain long-term happiness. He refers to the loving thy neighbour as in the Scriptures as being not a pathological inclination of love but a love of duty, and if the duty “Love thy Neighbour” is followed, then it is a not considered immoral or a hypothetical imperative, but a categorical imperative. So the first proposition of morality is that action must be attempted from a sense of duty in order to have any moral worth. The second proposition of morality is that the moral worth is not in the consequences of action or the purpose attained by an action, but in the maxim that the action is carried out with. The will is at a crossroads between a priori, the formal, non-material and a posteriori, the experiential, material. The third proposition is that duty is the necessity of action that is brought about by respect for the moral law. So basically, nothing else can have an impact on your action except these laws. The ends must never be examined and can never influence your decision if one is to act morally. A person who acts according to morality laid out according to their duties and acting on their correct maxims is one who has a good will, and regardless of the outcomes, this is the ultimate good, this good will that Kant discusses. One should only act in the way that they can universalize their actions. In this way, one is not simply allowed to make exceptions for a certain situation. Kant’s example of a false promise illustrates this, stating if a person who is under stress deciding whether or not to make a false promise, whereby making the false promise may seem to have beneficial consequences immediately, but my not making a false promise, you are adhering to your duty. Kant argues that because you cannot universalize making false promises in similar situations (because that would create a world of lies) then you cannot will it to be your maxim, and therefore you must follow your duty to not tell a lie and will therefore not make a false promise in this case. Kant discusses how despite one’s experience in the world, following this way of determining what maxims can be made into universal laws (categorical imperatives), it is not difficult to determine how one should act according to duty. He then discusses respect for practical reason, which I didn’t really understand his point. His next paragraph is dedicated to saying how practical reason can actually tell one how one ought to act in situations, whereas traditional philosophy is chaotic and full of uncertainty as to how one should act in situations. Innocently enough, Kant argues, it is easy for one to fall victim to our inclinations and desires which are often at ends with our duty, so much so that we may try to align our duty with our inclinations in an attempt to justify. The whole last paragraph is beyond me. Did not understand. Perhaps, people need to extrapolate the moral laws from our experiences through reason to determine our duties, so that we do not lose a moral code? And this is how we find peace? Duties are listed in a certain division, some being perfect and others as imperfect duties. Case 1- Here a man is so depressed that he contemplates suicide. Suicide is here wrong because the maxim behind it is of self-interest so much that you do not want any more harm to come to yourself. But if made universal, this is contradictory as it means that no life would exist. It is the case that not committing suicide is an example of a perfect duty to oneself. Case 2 – A man has no choice but to make a false promise to get a loan in order to have money to live, but is still capable of reason. Suppose he chooses to make the false promise, the maxim of his action states that “In all situations, if I am pressed for money, I can make a false promise” then there would be no truth to anyone, and it would contradict itself. Therefore, keeping promises is a perfect duty to others. Case 3 – a man has the choice of cultivating his talents or doing little with his life besides being a slave to their indulgences. But to indulge in one’s immediate self-interests as a maxim cannot be universalized, therefore, cultivating one’s talents is an example of an imperfect duty to oneself. You must do this duty insofar as it does not interfere with your other duties. Case 4 – Here a man has the fortune of being well-off, but has the opportunity to help others although this will not benefit him. To help others despite this would be considered an imperfect duty to others because to make things universal that you will not help others in need. It may be the case that despite not helping anyone, everyone somehow manages to be “OK”, but it may also be the case that people will suffer without the help of others. Therefore, insofar as it does not impact the fulfillent of other perfect duties, one has a duty to benefit others. Bottom Line: We must be able to will that the maxim of our action becomes a universal law. Perfect duties are ones whereby the maxim cannot even be thought of as a universal law, but imperfect ones may be thought of as a maxim that, if willed, would contradict itself. Anytime we make an exception to a rule for ourselves (ie we lie this one time) we are being immoral and siding with our inclinations. Basically, because we may sometimes make exceptions for ourselves at times, indicates that we are cognizant of the categorical imperative and that we are going against it and siding with inclinations at times. However, Kant discusses that we are not advanced far enough to prove the a priori existence of duty. To derive this a priori principle, we must not use human experience. Reason is the method to attain this proof. This is philosophy, hard rules that do not depend on anything in heaven or earth and are not made up by anyone else. Kant’s question that he poses is, Is it a necessary law that all rational beings judge actions against maxims that they will to be universal laws? To determine the answer, we must use practical philosophy, and what ought to be the case and do not enquire into the realm of experience. For what are concerned with are objective practical laws and not simply describing what actually happens in the experiential world. The will is the faculty associated with carrying out the practical law, or our duties. The motive behind an action can be the action in itself (in this case making the action the end in itself) or to some other end (an incentive), whereby the action becomes a means to an end. The difference is that when the action is an end in itself, it is an objective end, whereas with an incentive as the end, it becomes a subjective end. Subjective ends, because their results may change and the worth of the ends are different to different people, it is impossible to make universal laws from these subjective ends. Only the objective ends are able to become practical principles. The material or subjective matter will only form hypothetical imperatives. However, the only subjective thing that has absolute worth in itself, is man, or whatever rational being that is discussed. Therefore, a categorical imperative may be possible for such a being to being an end. To make man an end in itself, we must never treat man as a means, but always as an end. This is what Kant considers to be the supreme practical principle. Applied to the previous cases we see that by killing oneself, we are using ourselves as a means to escape further pain and this violates the supreme categorical imperative. The same holds true with the situation of the man attempting to make a false promise. This example shows how man is treating another man as a means to an end and is therefore morally unacceptable. The third case of cultivating one’s own natural talents, it is easy to see that if we are to treat humanity as an end in itself, that cultivating those talents would bring about advancement to that end. Indulging in one’s own selfish immediate wants and needs however, may not impede this end but if made universal would not lead to any advancement and is therefore morally incorrect. The case of helping one’s fellow man even if you do not immediately benefit from the same is interesting in that the end may be the same despite not helping any other persons. However, by choosing not to help others, you are not advancing towards the end of humanity as an end in itself by ignoring this duty to help fellow man. Therefore it is the moral thing to do by helping a person in need. Kant is then stating each of the principles of practical law. The first is that of the absolute objective laws of universality and in these objective laws is where the practical legislation lies. The second is that subjectively, all ends must be in rational beings in themselves and this is the grounds for practical legislation. He then states the third practical principle, which is of autonomy of the will. The will is the author of its own legislation and the subject at the same time. It is autonomous, in other words. Kant’s next argument regarding will and interest goes a little beyond my comprehension, but what I got from his argument is that the will cannot be influenced by self-interest. Only when the self is not influenced by self-interest and only by duty and the categorical imperative is man able to obey the will unconditionally. He argues that previous philosophers have failed in developing where true morality lies, because their moral commands did not come from within a universal, objective, practical law, but in a given set of commands that people were to follow out of self-interest or the interest of others (the likes of which is susceptible to change and variation). But Kant’s principle of autonomy of the will is such that we are the crafters of our own moral legislation through the faculty known as will, and it is by this that we judge our moral worth, not by some rules handed down by God or otherwise. By everyone treating everyone else as an end in themselves (all rational beings) there would be a systematic union of rational beings and this would be called a kingdom of ends, which Kant believes only to be an ideal. This kingdom of ends there are people that make the laws and obey them (members) and others who just make laws and are not judged by them (sovereigns). Only members are judged on duty and duty does not relate to inclinations. The will legislates each of its maxims to all other wills and unto itself, not on hope of future gains but on the respect for dignity of others. Anything that relates to our inclinations or desires has a price (ie. Can be traded, is equivalent to other things) but things that are an end in themselves have intrinsic worth and therefore, have dignity. Morality and humanity have dignity because they are ends in themselves. And it matters not what the action that takes place is, only the will behind the action. Basically, each rational being holds dignity for all other rational beings and each person’s will is the legislator of their own laws. If everyone abides by these laws of practical reason and follows the categorical imperative, this kingdom of ends will be a kingdom of nature (the ought, will come to be). If one acts as though the maxim behind their actions can be universalizable, then the will behind such an ideal is a good will. Kant refers to not using man merely as a means, but at the same time an end, the supreme limiting condition. Therefore, man must always be an end. The idea of this kingdom of ends is that every person must be a member, because everyone has a will, and can therefore legislate the laws of this kingdom of ends, where the law is the maxim of their actions that can be universalized to everyone, and this law is commanded categorically. Yet, even if no one else is following this categorical imperative, you have a duty to follow it, despite what others may be doing around you. This is the paradox that Kant speaks of: Even if it isn’t the case that this kingdom of ends, this perfect world doesn’t exist, doesn’t mean it ought to be the case. Morality is the relation of action to the autonomy of the will. Things that are willed but not compatible with the categorical imperative are forbidden. This heteronomy states that action must not come from a desire to side with inclinations or for some other hypothetical imperative, but from willing a categorical imperative, making the decision on the principle of the maxim behind it, and not in the satisfaction gained directly from using the action as a means to an end. Where does our will come from? Is it through empirical or rational thought that it is formed (failed attempts at perfection until finally perfected)? Or is it intrinsically already perfected (a rational concept of perfection or through some other being handed to us perfected, such as God). Empirics aren’t responsible because the existing world of empirics is too chaotic and subjective to have these perfect principles of morality. Happiness is not equal to good. Moral feeling also cannot be responsible, because even though it is closer to actual morality, it is subjective in that it varies from person to person. Kant then discards the God argument as the source of our morality because it is empty and are associated at times with might and vengeance, values which are not consistent with morality. Therefore, Kant argues that the basis for morality must be in the rational concept of perfection. All other philosophies he refuses to state arguments for because he basically states that they are easy to see through. Any law that is heteronomic in nature cannot be followed truly because it is not followed for the end in itself, but for another end. Only an autonomous law can be followed as an end in itself, and in this case, you will have an absolutely good will. This postulation that a priori principles are possible is questioned and Kant states that the solution does not lie in metaphysics of morals. To do this we must critique pure practical reason. Machiavelli’s The Prince was written as a handy guide for new princes in the Italian city states of the 14th century. In his writing Machiavelli appears to be purely a consequentialist, as he seems to have no problem advising cruelty and underhandedness to the prince, so long as it is in order to secure his position as a leader, and will not destabilise his principality. A good prince does want to be loved by his people, if there is too much ill will against him the rebellions will be too strong or come too often to be able to effectively stop. Any kind of morality found in this book, places the prince firmly in the center of it’s ideology. Machiavelli encourages making examples of people should the need arise. Rebels should be quickly dispatched and the public should know about this as a deterrent for further rebellions. If the prince needs to seize lands from common people of the land, he should do it in such a way that only offends a minority of the public, but also in a way that insures that little will be done about it by those who were not effected by the seizures, for fear that the same will happen to them. He says makes the case “that men ought either to be well treated or crushed”. If you must treat someone badly for the sake of maintaining your principality, then it must be done in such a way that those who were abused could never take their revenge on the prince. A prince cannot get carried away with brutality, he must also be a defender of his less powerful neighbours in order to generate good will and the confidence of the people in his ability to keep them safe. But he must also seek to weaken the more powerful neighbours, “taking care that no foreigner as powerful as himself shall, by any accident, get a footing there”. It’s also important to note that if smaller weaker colonies are defended, but also fear a greater enemy elsewhere, they will always be forced to stand with you. Later he talks about the balance of difficulty in acquiring lands vs. keeping those lands. One example he uses is Moses. While Moses may have had difficulty freeing the Israelites, once he had and was successful in establishing himself, his people were completely loyal to him due to his freeing them from slavery. I thought this was of particular importance because, he says the freeing of the slaves was a good move on Moses’ part, but not for any of the reasons you would expect. Not simply because it was the right thing to do, or because it would make the slaves happier people, but because he would then have an intensely loyal following made up of those slaves. One very important distinction Machiavelli makes with regard to gaining power through wickedness is the importance of glory for the prince as opposed to being seen as a inhuman tyrant. He points to the example of Agathocles the king of Syracuse, who gained power through nothing but cruelty and violence. He according to Machiavelli will never be remembered for his glory, only his monstrousness. It is not just power that the prince should seek but power and glory. In short, the subjects discussed and the conclusions drawn by Machiavelli are completely for the sake of the ruler of an area. While the peasants are most often treated well it is for the sake of the princes power and glory, not out of any moral obligation to the public. This selection of Sartre’s writing is from Existentialism and Human Emotions, which is also sometimes translated into Existentialism and Humanism. At the end of this except, Sartre defines existentialism as “nothing else than an attempt to draw all the consequences of a coherent atheistic position” (133), which explains how proving humanism—a morality that is based on good, not a god—is one of the primary aims of this work. Existentialism’s most basic tenet is existence precedes essence, or a person exists in the world and then defines his or her purpose, not the other way around. Sartre gives an example of a paper cutter. The paper cutter is designed to do something (cut paper) in a specific, thought-out manner. Then it is built by some artisan, and used according to its purpose. Sartre points out, “one can not postulate a man who produces a paper cutter but does not know what it is used for” (127). In the case of the paper cutter, essence precedes existence. According to existentialism, a person is not comparable to a paper cutter. The ontology of humanity is the exact opposite of this example. A person is born undefined and then must create his/her purpose. People are completely free, and the first thing existentialism must do is make everyone aware of this fact. Once individuals are aware of their freedom, they can no longer make excuses for their behaviour. They may not rely on any external compass or omens to guide them. Thus, they must take responsibility for their actions. In my opinion, the existentialism in this selection begins to truly address ethics when Sartre states “[e]ach man is a particular example of a universal concept, man” (127). (This universal concept should not be confused with a theory of human nature. Human nature is a universal essence that exists before its particular manifestation and therefore a direct opposition to existentialism.) Rather, this argument posits that the individual is not only responsible for him/herself, but to others. Sartre explains that “in creating the man that we want to be, there is not a single one of our acts which does not at the same time create an image of man as we think he ought to be” (128). (Here is the introduction of the “ought”.) In this case, one ought to act responsibly with consideration for the affect of these actions on others. (At this point, the argument is reminiscent of Kant’s categorical imperative. However, Sartre is critical of Kant in other parts of this selection.) It is clear there are ethical implications of existential ontology. The individual’s complete freedom and responsibility has consequences for the collective. Existentialism acknowledges that humanity’s freedom is a source of anguish. This is why Sartre famously writes the paradox “man is condemned to be free” (130). “Condemned” implies that freedom is some kind of punishment, or at least some pain. This is a paradox, of course, because condemnation denotes a lack of freedom. Freedom in this sense imprisons humanity because it is an incredible and inescapable responsibility each person individually bears. Every action has a consequence for the actor’s personhood and for everyone else’s personhood. Even not choosing is a choice that has repercussions. The knowledge of this huge responsibility can cause despair. Sartre argues for atheist existentialism for two reasons. In the first place, God is often believed to be the greatest artisan. In the context of the paper cutter example, this means that God crafts people the way the artisan crafts paper cutter. It means that people are created with a purpose in mind; their essence comes first. This is obviously opposing the first principle of existentialism. The other reason Sartre argues for atheist existentialism is that God implies an a priori Good. For existentialists, there are no definite, predetermined values. If there were, then people would not be entirely free and responsible for their creation. Sartre also argues against other universal, prescriptive, ethical codes which rely on a priori good. He claims that these doctrines are too vague to be helpful in any particular circumstance in which they are supposedly required. Sartre attacks Kant with an example of a young man who must decide to either go away to war or to do as his mother wants and stay with her. Kantian ethics require that one treats others as ends, never means. However, in this case, no matter which option the man chooses, he treats the people of the other option as a means. Therefore, in this particular instance, and all particular instances, one must “devise the law [one]self” (132). According to Sartre, ethics always requires invention. Without God or any other a priori good, Sartre must explain from where the criteria for ethical decision lay. Sartre argues that the values cannot be the basis for ethical action, because the value of an act is determined by its actualization, id est, the ethical action one is deliberating. He acknowledges this is “vicious cycle” (131). One cannot appeal one’s instinct’s because “[t]he feeling is formed by the acts one performs; so, I cannot refer to it in order to act upon it” (131). Therefore, not only is it impossible to appeal to an a priori good, it is also impossible to find good within one’s self. Sartre posits that the only basis for values is freedom. Essentially, it is the only that exists before action, so it is the only possible guideline. He argues that “[w]e want freedom for freedom’s sake, and in every particular circumstance” (133). This continues to be an ethical position, since one’s freedom relies on the freedom of others. In this selection, Sartre addresses a number of critiques of existentialism, particularly the claim that the subjective origin of values means that they are arbitrary and therefore provide no solid ground for judgment. Existential values are not arbitrary, Sartre argues, because “[i]n choosing [one’s] ethics, [one] makes [one]self.” Therefore, values are at the core of personhood and cannot possibly be capricious. Further, existential ethics can make judgments, at least according to whether a choice was made based on error or based on truth. Since one is completely free, it seems that one is allowed to deny this freedom. Sartre judges this as dishonest, and dishonestly is logically unsound. Thus, subjectivity does not annul the validity of these ethics. How is it that every person is both responsible for him/herself and also, therefore, everyone else? Is it not contradictory to say each individual solely defines his/her essence but others also help define it? Am I misunderstanding the argument by assuming Sartre sets up a dichotomy of freedom from an individual versus freedom from another individual? Is it rather the case that the dichotomy is the freedom from individual versus the freedom from some other source, God, et al? Why do we want freedom for the sake of itself? It is because it is the only thing that exists a priori? John Rawls’s “A Theory of Justice,” aims to demonstrate that, given the choice, any rational person would choose to live in a society with equality guaranteed through 1) a basic set of civil, political and religious freedoms and 2) an equitable (if not equal) distribution of opportunity and wealth (i.e. certain socioeconomic rights) (232). This is a rationalistic position: Rawls wishes to derive this, not from any state of affairs present in the world, but rather from a purely abstract consideration of an ideal society that all people would agree to. That Rawls comes to this conclusion is because of his idea of the “original position,” (230) wherein he removes all knowledge of one’s defining characteristics, stripping humanity down to its most general, and from behind this “veil of ignorance” asks the rational person to choose what type of society they would like to live in (230). This would take place under conditions of what Rawls calls “fairness,” in that one person would not have any advantages over the other: they would all be equally aware of, and equally to free in regards to, the choices they are making (230). Quite logically, starting from there, a person would choose to live in a society where these defining characteristics do not matter: i.e. where there is no discrimination based on gender or ethnicity or religion. Not knowing one’s religion, for example, it would be clear that it would be most beneficial, in terms of one’s own self-interest, to select for a society in which you would not be negatively discriminated against because of the religion you adhered to (Rawls 232). In the same way, Rawls posits that one would choose a world with a generalized equality of material wealth and economic opportunity, with only as much inequality as would benefit every person in the society (232-233). While this may seem parallel to a sort of utilitarianism, he explicitly denies any usage of the principle of utility as traditionally conceived (231), as this would have to stem from people having “strong and lasting benevolent impulses,” people continually choosing the greater good, which Rawls perceives as “incompatible” with a society of “free and rational persons” (230) who would only agree to something that was compatible with their “interests” (231). It is clear that here Rawls is making a political argument. His fundamental concern is pragmatic, what can be done, given what he holds as fundamental: that freedom and rationality mean acting with one’s self-interest in mind. He thus arrives at a quasi-ethical political community using a Kantian method, but from a fundamentally different starting point. Where Kant conceives of freedom as the exercise of rationality independent of the constraint of convention or contingent desires, and looks to the universalization of the will to achieve this, Rawls in no way seeks this universalization – he takes it for granted that “a rational man” (231) will think only of what result a “basic [political] structure [will have] […] on his own basic rights and interests” (231, emphasis mine). Given this precept, he is then concerned with rules and regulations, and setting up buffers between free individuals. It is thus hard to find the moral rational for this system (one could qualify it as moral, once it was constituted, but no moral justification is provided for its constitution). That being said, it’s probably more effective to have institutional structures responsible for upholding equality rather than moral imperatives, as there is no police for morality, whereas there is one for the law. By shifting the imperative for equality to the state, it is more likely that it will be enforced than if one simply ought to do it. It is also, however, not a very responsibilizing politics – far from it for this state to require, or even encourage, that its citizens be witty or generous or friendly – or vote, for that matter. A boring, stingy, politically apathetic misanthrope is completely compatible with Rawls’ version of society. Thus, wouldn’t it be possible to ask if something is lost when a society becomes simply about guaranteeing each person’s self-interest as much as possible? Could this not be detrimental to building the sort sense of community that would have to exist in order to guarantee the rights and freedoms that Rawls is talking about? Yes, “strong and lasting benevolent impulses,” (230) may be a wishful fantasy, but should we not want to encourage them, in order to have a society where one not only has to respect rights, but wants to? In this way, while it is very hard to argue against the values that Rawls suggests would be selected for in an ideal society, one wonders if a guarantee of rights – civil, political, socioeconomic – is a sufficient basis for a functioning society. Rawls, John. “A Theory of Justice.” Ethics: Contemporary Readings. Eds. Harry J.
Gensler, Earl W. Spurgin, and James C. Swindal. New York: Routledge-Taylor & Francis 2005 (2004): 229-234. Peter Singer’s Animal Liberation paper outlines what constitutes as equality among all species and why we should consider the well-being of every sentient being equally rather than measure equality based on physical and mental attributes. Singer argues that “speciesism” is wrong and outlines the reasons for this as well as how we can create an environment that is essentially equal and considerate of all different types of beings. Singer discusses how “”The Rights of Animals” was once comparable to “The Rights of Women” – he uses the example of voting. Women have the right to vote because encompass the ability to make a rational decision just like men, however since an animal is unable to make a rational decision, they are therefore incapable of voting and are not granted the “right” to vote. –	Since animals share little to no resemblance with humans – they should not share similar rights. Singer disagrees with these points and argues that they need to be taken further, he emphasizes that the differences between human and animals need to be recognized and taken into consideration when deciphering differences in rights for humans and animals. For example, since dogs are physically incapable of making rational spoken decisions, there is no point to talk about their potential right to vote. “The basic principle of equality does not require equal or identical treatment; it requires equal consideration” (Singer, 285). Equal consideration should be distributed fairly among human beings and animals which will involve a significant difference in treatment and difference in rights. Since humans possess diverse physical and mental attributes from animals, each species attributes must be taken into account equally, applying different treatment/rights through equal consideration. Singer explains that equality is NOT based on the level of intelligence or moral capacity in which a being encompasses – “equality is a moral idea, not an assertion to fact” (Singer, 286). Equality among beings in the world should not be measured on physical/mental attributes, regardless if a human being encompasses a higher moral capacity than a horse, a level of equality should be maintained and shared between the two species, not disregarded due to a difference in attributes. “Our concern for others ought not depend on what they are like” (Singer, 286). For example, a concern for the well-being of an animal would depend on them being provided with adequate shelter and sources of food while the concern for the well-being of a child depends on them being provided sufficient education and care. Singer argues that the consideration of well-being and interests must be extended to all beings (human & non-human). Singer explains “speciesism” as a prejudice or bias in favor of the importance one’s own species as a whole and who is against those of another species as a whole. How is it right that we can exploit beings of another species but never exploit beings of our own? For example: A being that is capable of suffering should be treated with equal consideration to the other beings who are capable of feeling the same. The suffering of ANY being of any species should be treated with equal consideration regardless of said beings nature. Singer states that human beings, for the most part, are speciesists because most human beings take part in activities that compromise the well-being of other species beings in order to benefit the well-being of their own species. We experience pain therefore we feel/ have knowledge of when we are in pain. However, we are unable to directly experience another beings (human or animal) pain. Through the observation of another being and assessment of the beings external actions – we are able to decipher whether or not the being is experiencing pain. External signs which indicate pain remain, for the most part, generic among all species. Examples of these external signs may be change in facial expression, moaning, avoidance of cause/source of pain, etc. Singer claims that we are aware that animals have nervous systems which resemble a similarity, meaning animals nervous systems may physiologically respond to pain similarly to the way humans do. “If we do not doubt that other humans feel pain we should not doubt that other animals do so too” (Singer, 288).Singer argues that it is irrational to deny that animals feel pain. In the sense of animals versus humans, a dog that is experiencing pain will express similar actions as a human who is experiencing pain. Singer creates a very controversial scenario comparing the life value of a severely brain-damaged infant to the life value of a dog. He explains that in some cases, an infant with a serious mental disability may not ever surpass the intelligence or physical capability of a dog, but the decision to keep the baby alive versus keeping an animal alive is not measured with equal consideration. The infant’s life is clearly more valued than the dog’s life in many scenarios which demonstrates speciesism. He explains that the only difference that separates the infant to the dog is its belonging to the home sapiens species. This is Singers ultimate example for “speciesism” and it illustrates the basis on how we grant the right to life unfairly when it comes down to the consideration of humans opposed to animals. –	ALL beings similar in relevant respects = granted similar right to life. –	We should consider other beings based on how we consider and choose within our own species. “Normally if we have to choose between the life of a human being and the life of another animal we should choose to save the life of the human; but there may be special cases in which the reverse holds true, because the human in question does not have the capacities of a normal human. We should give the same respect to the lives of animals as we give to the lives of humans at a similar mental level” (Singer, 291).